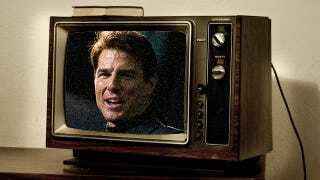 According to the Telegraph, the Church of Scientology is planning to launch a religious broadcasting center to promote its teachings over TV, radio and the internet, all based in a studio complex purchased last year. "The church plans to establish a central media hub for our growing world network of churches and to move into the production of religious television and radio broadcasting." Previously the organization has relied on less technological means of disseminating its, umm, teachings, such as book and pamphlets. With celebrities like Tom Cruise and John Travolta lurking in the background, who knows what this venture could turn into. The Telegraph goes on to speculate that the studio could both provide a dedicated cable channel, as well as buy time on local TV stations to pump out programming to the common people.